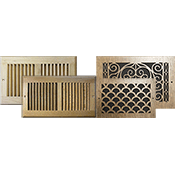 Wall Return Grilles are offered in metal, plastic, or wood. 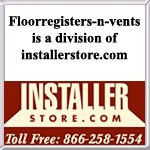 Many sizes, finishes, and designs to choose from. 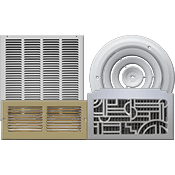 From Stamped Steel White Grilles to Custom Laser Cut Wood Veneer Wall Grilles, we offer products from a variety of manufacturers to match the look you are searching for.